The perfect Spring layering piece, this gorgeous shrug will be sure to elevate any outfit. 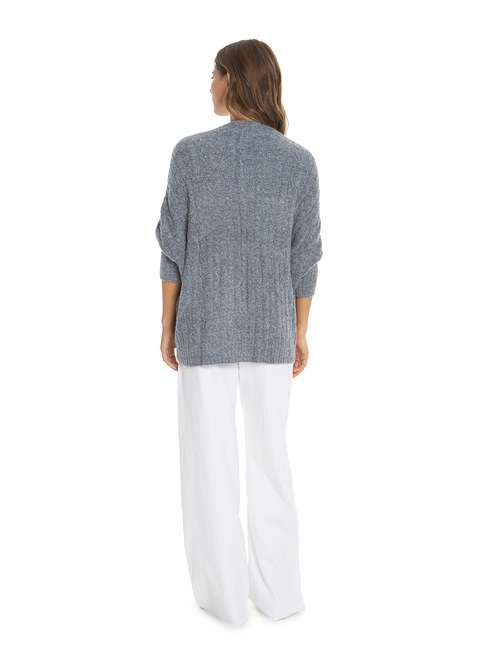 A cable-knit design created from our silky-soft yarn, it’s as cozy as it is elegant. Machine wash cold separately. Gentle cycle with mild detergent. No fabric softener or dryer sheets. Non-chlorine bleach only when needed. Tumble dry low or air dry. Do not iron. Model is wearing size S/M.